The Casio Tough Solar is a line of solar powered wristwatches. Tough Solar watches use a small solar panel to charge a high capacity battery for extended use. Though there are several different models of Tough Solar watches, the basic functions and directions for use are similar across all models. The watch's battery is charged using the built-in solar cells. The watch should be exposed to light whenever possible to prevent the battery from running down and the watch from shutting off. If you are not wearing the watch, place it in a location where it will receive a good amount of bright light. The type of light is not important, as long as the solar cells are exposed to the light. When wearing long sleeves, make sure the watch is sitting outside of the sleeve to continuously charge the battery. As the battery loses it's charge, certain watch functions will not be available. The further the battery drains, the more functions are disabled. If the battery is exhausted, your configurations will be lost. The Tough Solar watch line features 7 different modes: “World Time,” “Stopwatch,” “Countdown Timer,” “Alarm,” “Receive,” “Timekeeping” and “Date Recall.” To switch between modes, press the lower left corner button. Each time you press the button you will switch to one of the other modes. All of the modes have different functions which are controlled by the other buttons. Tough Solar watches use a time calibration signal to set the time on the watch. 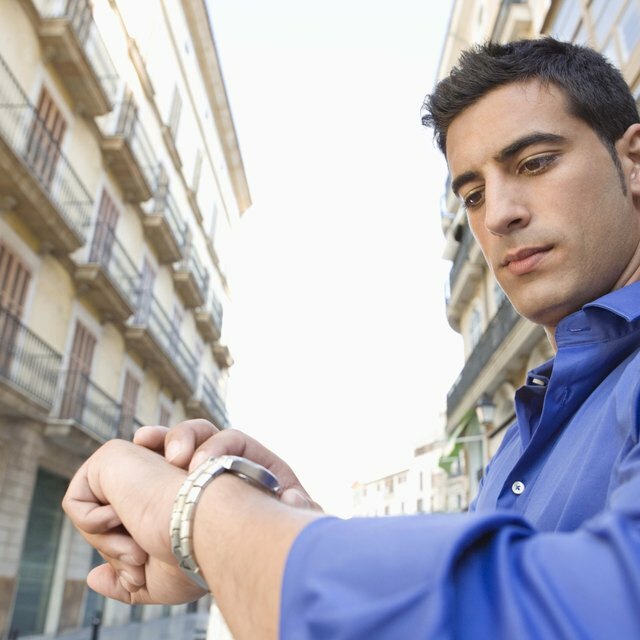 The watch is set automatically according to the city you specify on the watch. To set a city, place the watch in “Timekeeping Mode” and hold the bottom left button until the city starts blinking. Press the top right corner or the bottom right corner buttons to scroll through the cities. Choose the city that is closest to your location and in the same time zone as your location. Once chosen, press the bottom left button to set the city. The time will change automatically once the city is set.